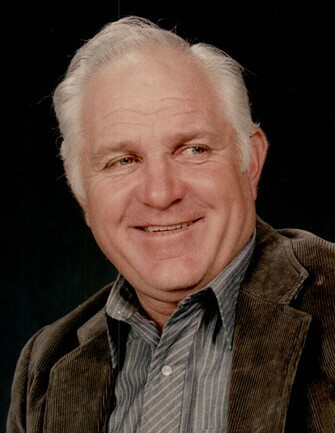 Maurice Rees Anderson, 77, died August 3rd, 2018 in the comfort of his home and family in Sandy, Utah. Our beloved Husband, Father, Grandfather, and Great Grandfather returned back to heaven. He was born November 23rd, 1940 in Standardville, Utah to H. Raymond Anderson and Ona Rees Anderson. He served an LDS Mission in England, and was an active member of the LDS Church. He has been married to his better half, Josie Sterner Anderson, for 55 years and they have loved and argued ever since. Maurice loved fishing, hunting, the outdoors, and had a great love for people, and all animals. Maurice was a Union Millwright for 30 plus years. Survived by his wife, Josie Sterner Anderson; children, Jayme Anderson, Craig Hoyt Anderson (Angela Lyn); grandchildren, Anthony Christopher Anderson (Charissa Shaye), Alex Daniel Anderson, Aspen Chandler Anderson; great-grandchildren, Asher Reid Anderson, Emery Jade Anderson. Preceded in death by parents; brothers, Terry Anderson and Duane Anderson. A gathering will be held August 8th at Anderson & Goff Mortuary, 11859 South 700 East, Draper, Utah 84020, between the hours of 6:00 to 8:00 pm. A visitation and funeral service will be held August 9th at the Crescent 24th South Stake, 275 East 10600 South, Sandy, Utah 84070. The visitation will be held from 10:00 to 11:00 am., and funeral services will begin at 11:00 am. The family suggests in lieu of flowers, contributions be sent in the name of Maurice Rees Anderson to the Leukemia & Lymphoma Society: https://donate.lls.org/lls/donate or toll free number (877) 557-2672.